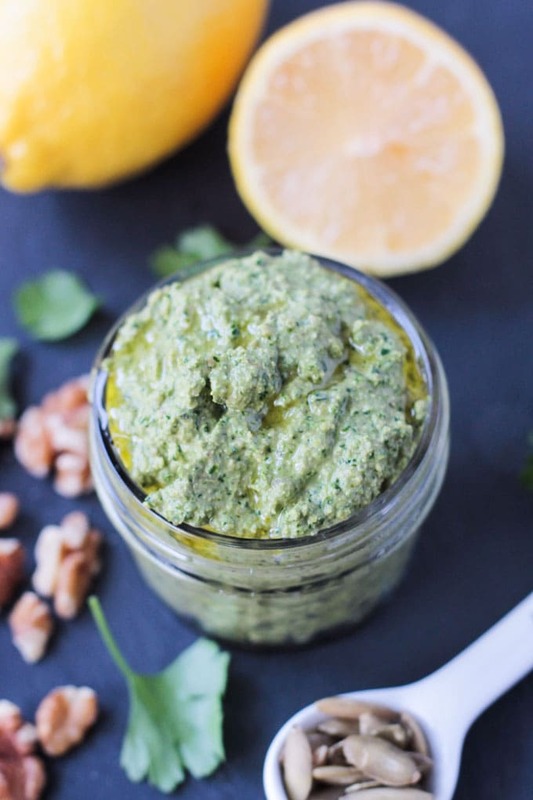 Parsley Kale Walnut Pesto – because fresh basil is hard to find in the winter! Use this dairy free pesto to liven up almost any dish. I love pesto! It’s so flavorful and fresh and vibrant. I usually think of it in the summer months when fresh herbs are growing abundantly in our backyard garden. Sadly, in the winter, there is no backyard garden, and fresh herbs, like basil which is traditionally in pesto, are hard to find in the grocery store. And when you do find fresh basil during the winter, it’s usually not that good…it doesn’t smell as fragrant and doesn’t taste as quite as sweet or peppery (likely because it’s been in transit on a truck for days, if not weeks). So, what does one do when they crave pesto in the winter months? They make a not-so-traditional Parsley Kale Walnut Pesto instead. Kale is a sturdy leafy green that actually does quite well in the colder months. It grows in our garden well into October and even November if there isn’t any snow yet. I still have to buy it from the grocery store in the wintertime, but it’s always available and inexpensive. Parsley is always hanging around the store year round as well, and in this hearty pesto, it really helps to liven up the flavors. I never use traditional pine nuts in my pestos because I have a weird reaction to them. I will have an incredibly strong metallic taste in my mouth constantly for several days after eating them. This is apparently an actual syndrome called “pine mouth” or “pine nut syndrome” of which there is really no explanation. Joy! I often change up the nuts I use in place of the pine nuts – this time I used walnuts – but I ALWAYS add pepitas (shelled pumpkin seeds). Since I’m obviously not using any cheese in this dairy free pesto (parmesan is traditional), pepitas give quite a cheesy flavor when ground up. When summer rolls around and you can get your hands on some amazing fresh basil, you might also want to check out my Mixed Greens Almond and Pepita Pesto, it’s my absolute favorite! Check out the sneak peak above of how I used this delicious Parsley Kale Walnut Pesto…and, no, those aren’t pasta noodles! I hope you love this Kale Walnut Pesto as much as we do. If you try it, please come back and leave me a comment below with your feedback. You can also find me on social media. Be sure to tag @veggie_inspired and #veggieinspired so I’m sure to see it! Enjoy! This Parsley Kale Walnut Pesto is perfect in the winter months when really good fresh basil is hard to come by. Quick and easy and very inexpensive, this pesto will liven up almost any dish! Use it as a sauce for noodles, stir some into soup, dollop it onto a baked potato, spread it on a sandwich, or use it as a dip for raw veggies or crackers. Place kale, parsley, walnuts, pepitas, garlic, lemon juice, salt and 4 tbsp vegetable broth in a food processor and process until smooth, scraping down the sides as necessary. If it needs more liquid, add more vegetable broth 1 tbsp at a time until desired consistency is reached. (I used 5 tbsp). Drizzle with a scant tsp of extra virgin olive oil, if using, before serving. 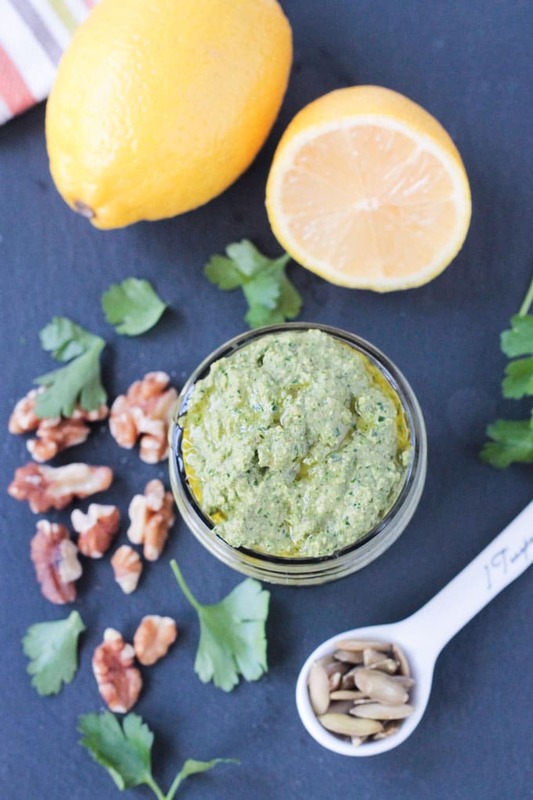 I love how versatile this parsley kale walnut pesto is! It goes with so many dishes! Pinning for later. I’m always happy to find pesto recipes without cheese. This one looks great. Lots of wonderful fresh ingredients. Thanks, Tish! No need for cheese! 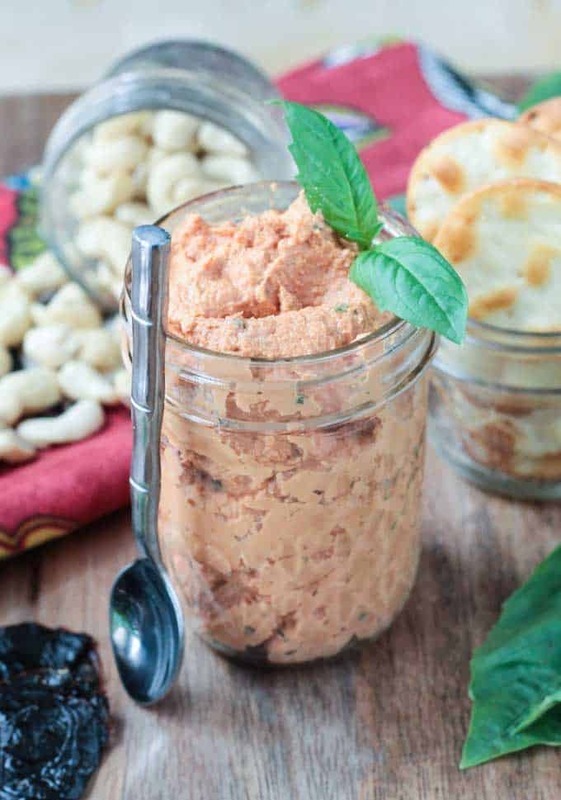 The pepitas help give it that “cheesy” flavor. So good! I love kale in pesto and like the way you use pepitas. 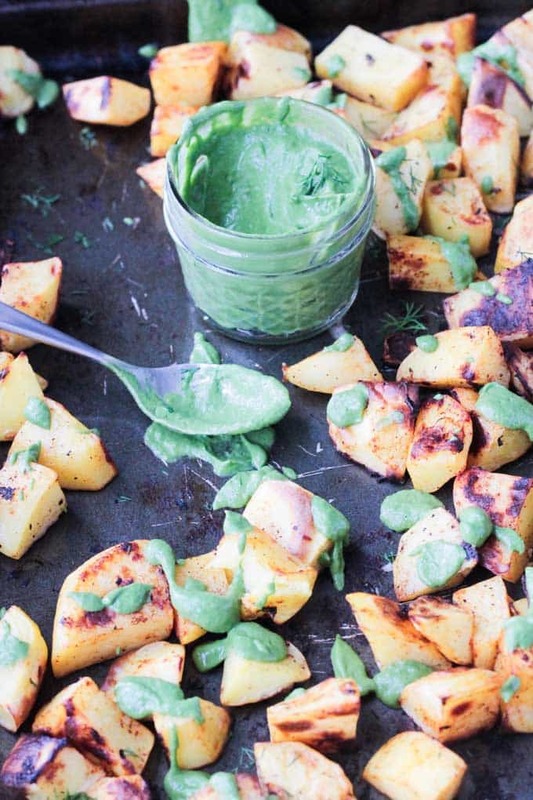 Bring on pesto-all-the-things! So good!! Thanks, Sina! Thanks, Brandi! I didn’t know they gave a cheesy flavor until I used them in another pesto recipe I make and it was AWESOME! Every time after that I would use pepitas in addition to any other ingredients and it’s always the best! Like little miracle workers those seeds!! 🙂 I love the idea of using peas!! i love to use pesto in pizza..this one looks wonderful. Yes!! Pesto on pizza is so good! I have individual pizza bites on the blog that use pesto..so good! Thanks, Dixya! I love to try different pestos and this looks great. Fabulous to keep in the fridge for quick dinners when you aren’t organized…most nights for me! Yes! I’m all about keeping staples in the fridge for easy grab-n-go! I’m feeling very unorganized tonight actually. No idea what I’m going to make! Aaaahhhh. Thanks, Mel! I’ve done parsley pestos before but never thought to add other leafy greens in too! This is such a great idea! Thanks, Theresa! It definitely gives it a huge nutritional punch! How much is a serving? How many does the recipe serve ? Trying to figure out for my weight watchers points ! Hi, Kate. Sorry, the recipe should say Yields 1 Cup. I’ll change that now. I would say a serving of pesto is about 3-4 tbsp. Yes, you totally need one! So much easier to get everything OUT of a food processor too. I feel like a lot is left behind in a blender if it’s not liquid. Thanks, Hauke! What a great recipe, Jenn! Packing so many healthy ingredients into one simple recipe is really an art. Looks wonderful! Thank you, Vanessa! You are so sweet! I looooove pesto! I just made some of my pesto to put in grilled cheese for my creamy tomato soup today! SO yum. And I always use walnuts in mine too. My mom uses them in hers so I always have. This looks amazing! Pesto in grilled cheese….YES! Great idea!! That sounds amazing! Your mom was way ahead of her time!! 🙂 Thanks, Sophia! I’ve never heard of pine mouth. That’s so weird, and so sad for you. I say that only because I love pine nuts. This pesto sounds incredible, Jenn. I love that you used walnuts and no olive oil. A total winner of a recipe. Thanks for sharing. I, too, am not a fan of pine nuts in pesto. I love the idea of adding pepitas and will have to give that a try the next time. This is a great variation of traditional pesto — looking forward to trying it! Thanks, Bridget! I really feel the pepitas are the BEST in pesto…even in traditional basil pesto, switching out the pine nuts for peptias is AWESOME! I hope you love it too! Any pesto is a good pesto and yours looks really good. I love having it on hand, gives you such flexibility. I agree, Mark! Can’t go wrong with any kind of pesto! Nice to be able to change it up with whatever is in the fridge! Thanks for stopping by! Such a nice variation on a classic! 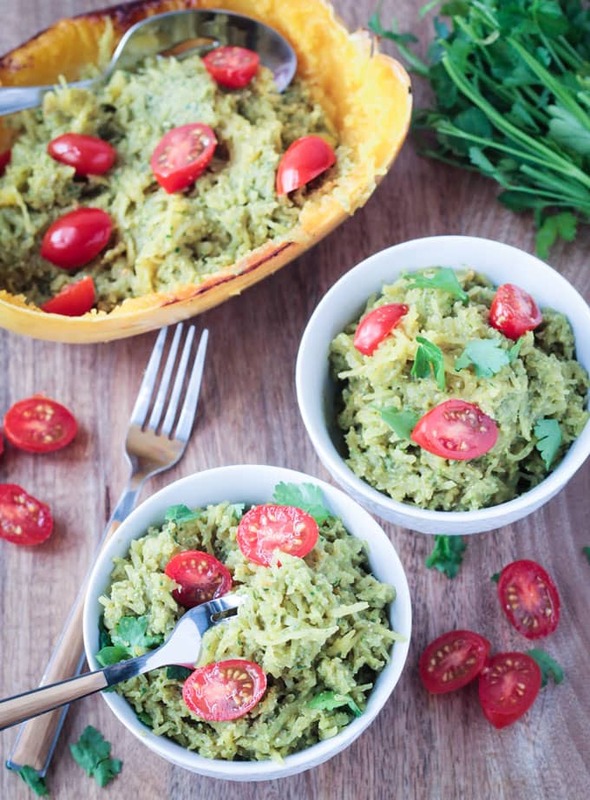 love this healthy twist on typical pesto! Yummy! Thank you! Hope you love it! Sounds delicious and your photos are beautiful! I love the sound of this! I’m a huge fan of basil pesto and I’ve never even thought to make it with a different herb. I love parsley and I think I’m gonna love this pesto too! I think you’d like it too, Jen! 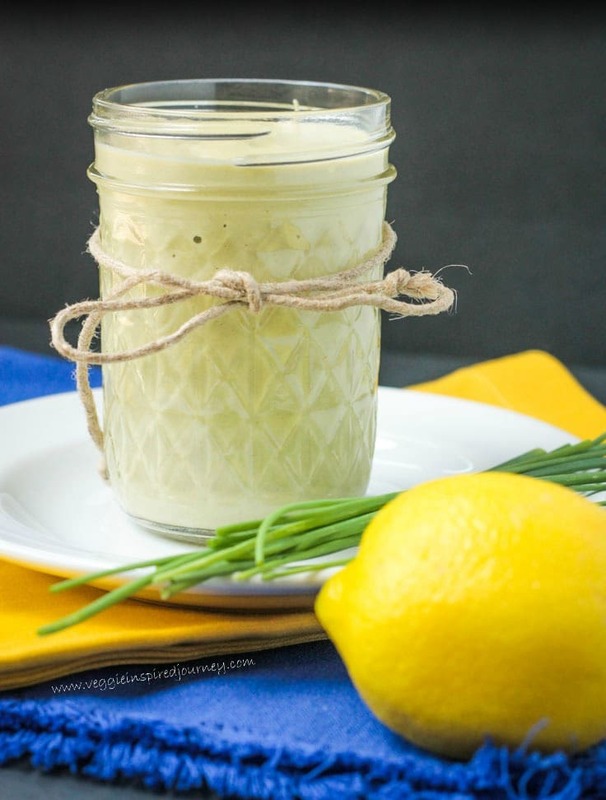 It has all the garlic and lemon of traditional pesto with a slight twist! What a fun combo! I love non-traditional pestos. Thanks, Becky! A great way to use up leftover greens too! Well look at that! I have an abundance of parsley and kale right now 😉 I’ve been eating parsley as my “lettuce” basically the last few months! Haha! I can’t get enough! That’s awesome, Rebecca! I LOVE parsley! It’s so citrusy! You don’t like basil, Natalie? It’s definitely a strong flavor. This kale pesto might be right up your alley then…and still tons of flavor.